The Advent of Electricity – almost there! 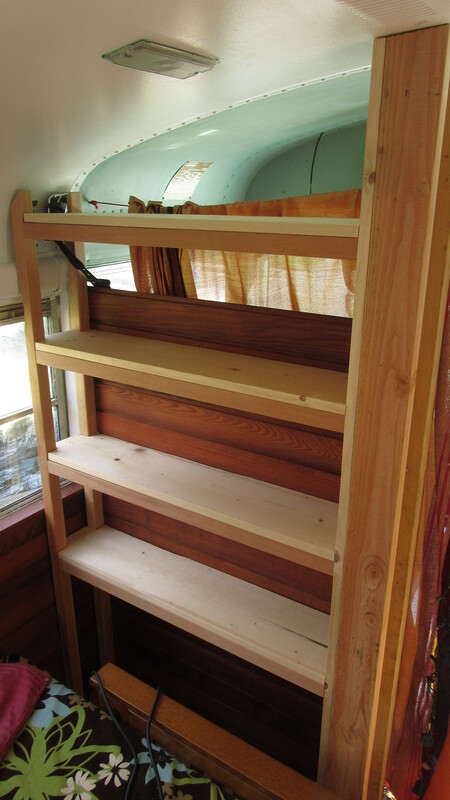 While I figured out our electrical diagram, I started working on the boards that will cover up the wires, make the bus a little “prettier”, and also to make extra shelving possible that will nearly encircle the bus. 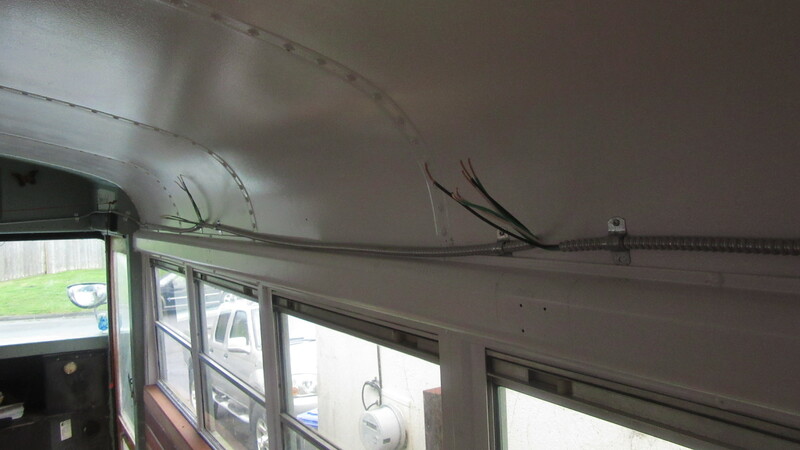 We are running the wiring (12 gauge, the kind in the bendy conduit) above the windows, and the outlets and switches will be attached to a 12″ cedar board that will be attached to the bus walls. Our vision for the wiring is to set up a simple system that can be plugged into the grid with an extension cord or be upgraded to solar when/if the need arises. 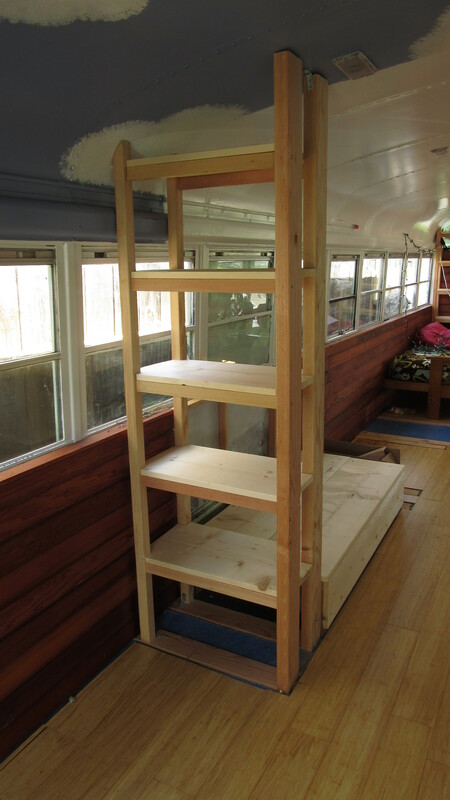 We are building in storage for the batteries, converter, charger, etc., that will be in the same area where the extension cord will come into the bus. 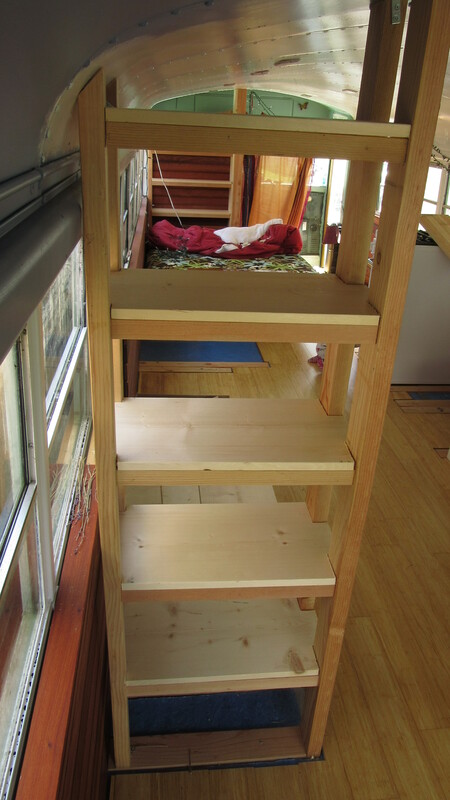 I find that each task seems fairly simple and straightforward, but then I realize that working on these things with two small kiddos in tow can really stretch out the amount of time needed. It’s taken me weeks to get boards sanded, cut just right, attach the shelves, and build little boxes that will house the outlets. But as of today, I have half of the boards ready, and I’m excited to get them up on the walls and have outlet boxes with wires coming through!! Here’s a photo of the board while it’s laying on the floor of the bus. 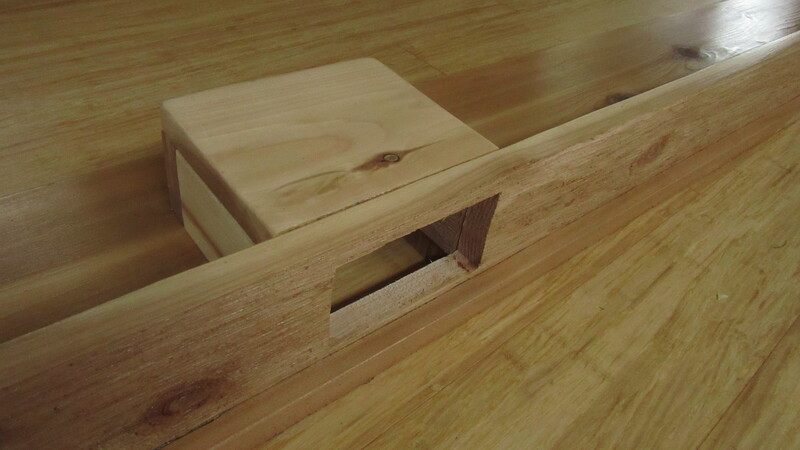 And here’s a photo of one of the outlet boxes – kindof confusing to see while laying on the floor, but hopefully soon it’ll be on the wall and more obvious how the outlet will fit. 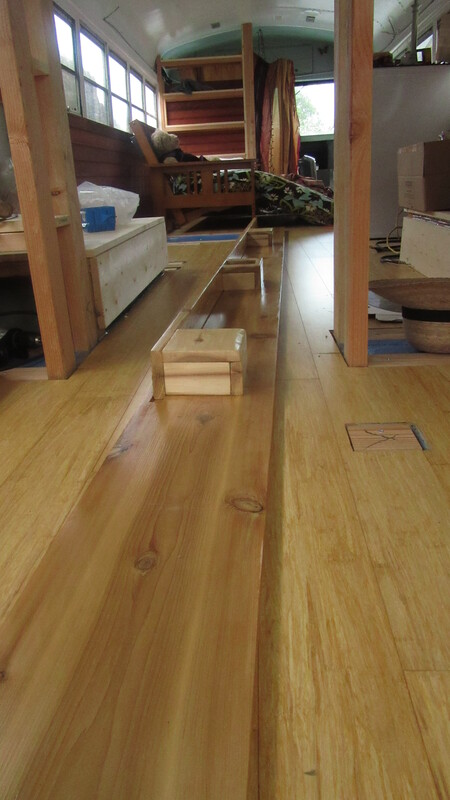 The final thing that I’ve been finishing up is the baseboards! Hooray! No more gap around the edge of the bus! 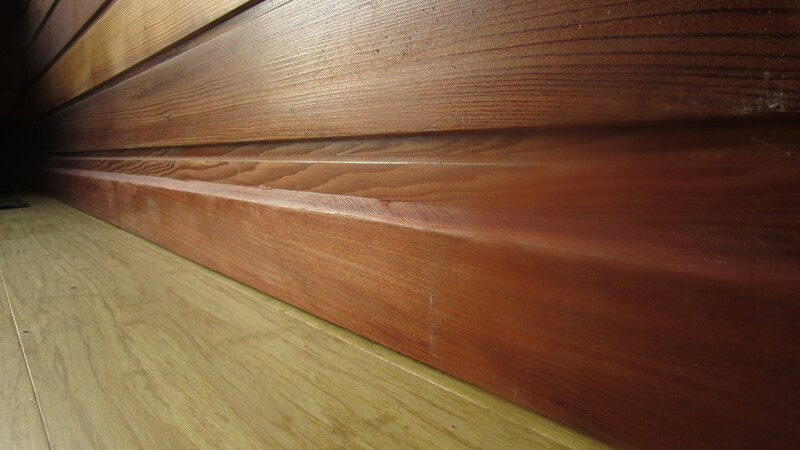 We used the same redwood paneling we had for the walls, just cut at an angle. 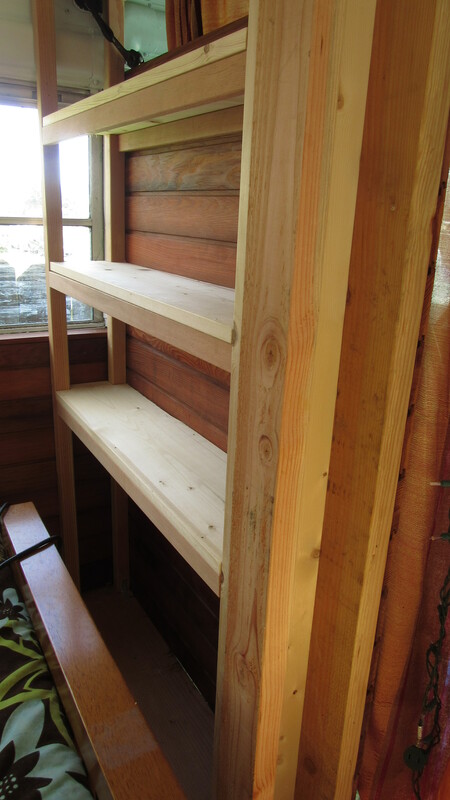 Those are the updates – now I can hope for more sunshine so I can be outside sanding, sawing, and varnishing!